A rock hitting your windshield doesn’t just leave an ugly chip or crack behind to ruin your car’s good looks -- it can also mean that your windshield might not be able to offer the same level of protection as before. That’s because the crack could spread, and your windshield could even break or shatter! But the good news is that with our Highlands Ranch mobile windshield chip repair, we can restore the beauty and strength of your windshield without the need for replacement. And we bring our high-tech windshield repair services to you! 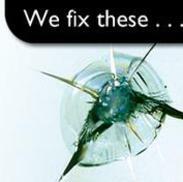 When you make an appointment with SuperGlass for windshield rock chip or crack repair in Highlands Ranch, one of our highly trained technicians will come to your specified location and assess the crack. He or she will then vacuum the chip or crack to remove any deep-down dirt, and will then use our advanced SuperGlass resin to fill in the damaged area. Our resin makes a strong bond with the glass of your windshield, so it returns to its full strength and looks great. Whether you need Highlands Ranch autoglass chip repair services for your own personal vehicle or a commercial fleet, give SuperGlass a call. Our technicians are as well-versed in offering excellent customer service as they are at using our advanced windshield repair techniques. We’ll make the necessary repairs quickly and at your convenience, getting you back on the road in no time!